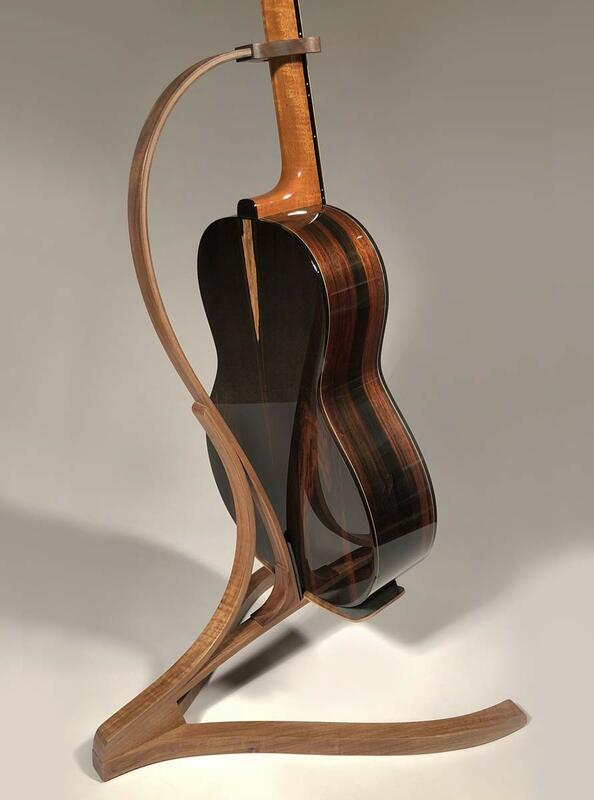 The Bellezza Guitar Stand is a collaboration between luthiers Rebecca Urlacher and Anders Sterner. It is designed for steel-string acoustic guitars and classical guitars. 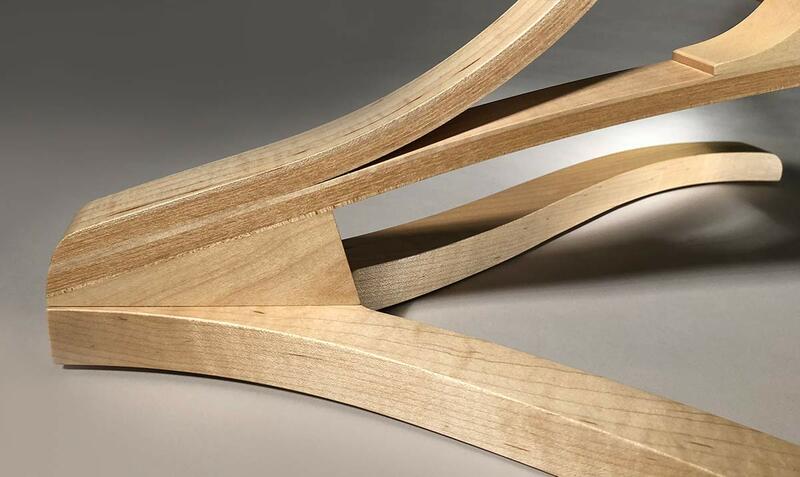 We both grew tired of clunky metal stands so we decided to invent a wood guitar stand that is beautiful, elegant and functional. Since 2006, designed for steel-string acoustic and classical guitars. 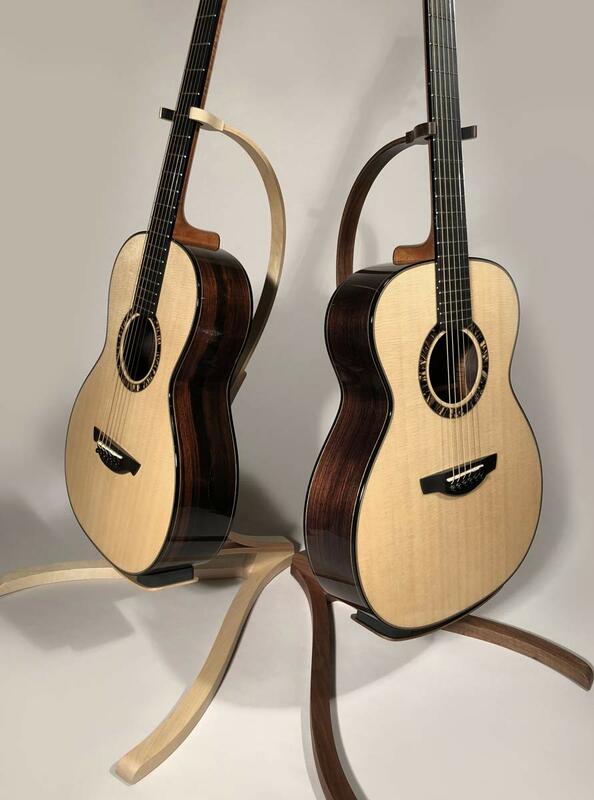 Guitar securely rests on a cradle form; there is no danger of swaying or stress to the neck from hanging. 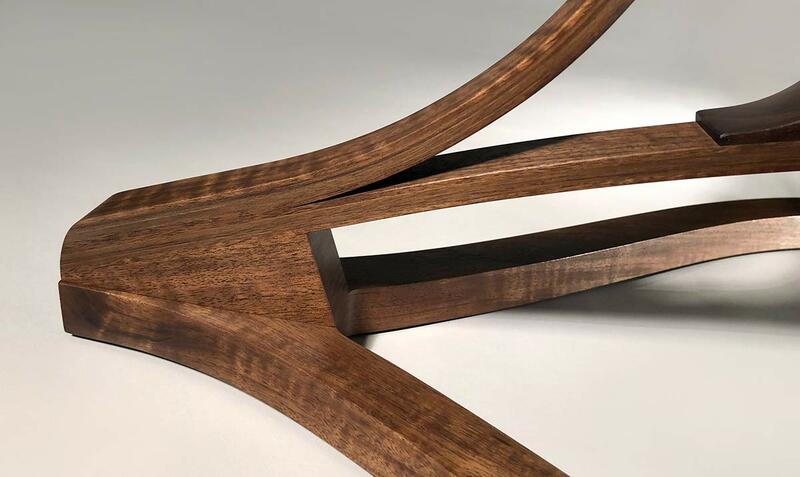 Finely handcrafted from curly maple or figured walnut. Other wood options may be possible, please inquire for details. Lightweight and portable. A complete stand weighs approximately 2 pounds and disassembles into two parts. Equally well-suited to showcase an instrument at a museum, instrument show or at home. Virtually all of the guitar is visible from any angle. High quality oil finish hand-rubbed to a beautiful luster. Anders and I make stands according to the types of guitar we specialize in. If you have any questions or you would like to order a stand for a steel-string guitar, please contact me. 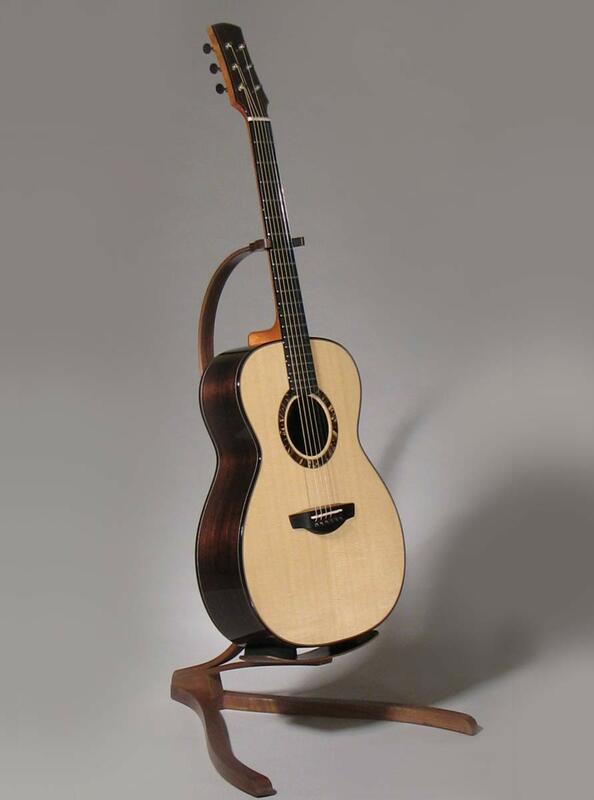 For a classical guitar stand, please contact Anders Sterner Guitars.